Since this week is midterms at my school, I thought I could share jazz music that helps me study and find relaxation during this stressful time of the semester. Read Jazz for Studying for my previous suggestions. 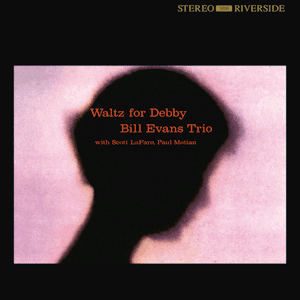 This classic piano trio album features pianist Bill Evans, drummer Paul Motion and bassist Scott LaFaro. The relaxed, subdued sound of the trio and dreamlike waltz of "Waltz for Debby" makes this album perfect for concentrating while reading a textbook. A magical album, What Is There To Say? features the piano-less quartet of baritone saxophonist Gerry Mulligan, trumpeter Art Farmer, bassist Bill Crow and drummer Dave Bailey. The connection between the trumpet and the baritone saxophone sets the perfect background for quiet thinking. 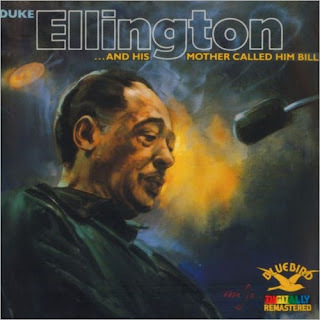 A truly intimate and inspired album, And His Mother Called Him Bill is a Duke Ellington album recorded after the death of his musical collaborator, Billy Strayhorn. You can hear the revery in every note Duke plays on the solo piano recording of Strayhorn's "Lotus Blossom," making this album perfect for a 'writer's block' moment during a project. Lately I have been going back and listening to tenor saxophonist Coleman Hawkins. His gorgeous, raspy tone is incomparable, and the sort of sentimental mood he captures on this album is perfect for writing a paper and gaining inspiration. This classic Miles Davis album signaled Davis's debut on Columbia Records. In addition to this historic milestone, the album features saxophonist John Coltrane, pianist Red Garland, bassist Paul Chambers and drummer Philly Joe Jones. The combination of energetic hard bop and quiet lyricism makes this album perfect music to listen to while taking a walk to destress. Even during this stressful midterm season, we can all find focus and motivation through music. What albums help you study?